Really fantastic material. 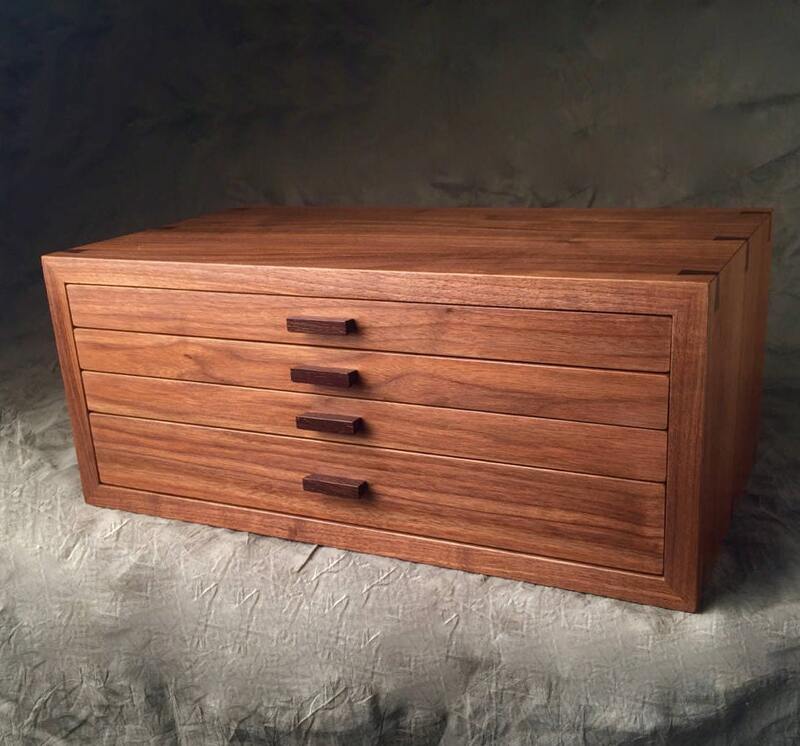 This is not production-mill, steamed walnut. This is old-school, slow dried from a small mill in SE Pennsylvania. 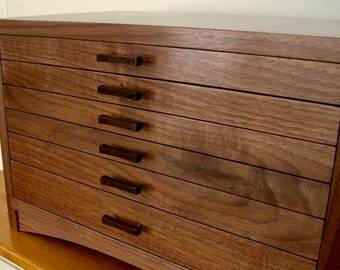 They do a fantastic job with it and have consistently great walnut. Truly beautiful boards. 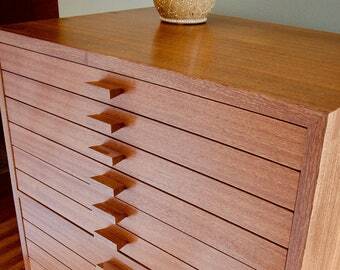 Three small drawers, one large drawer.